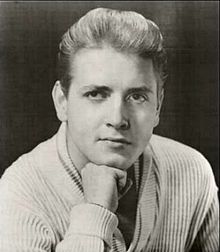 ^ Eddie Cochran Biography. The Rock and Roll Hall of Fame and Museum. [2010-07-20]. ^ Bobby Cochran and Susan Van Hecke. Three Steps to Heaven — The Eddie Cochran Story. Hal Leonard Corporation. 2003 [2013-09-02]. ^ allmusic ((( Eddie Cochran > Biography ))). www.allmusic.com. [2010-07-20].